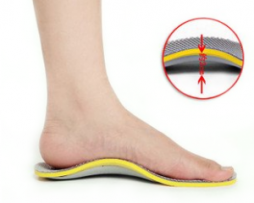 Home Page | Orthotics | What type of insoles should you buy? What type of insoles should you buy? If you go out running it can be quite annoying when half way through your run your feet start hurting… cramping or if you develop arch pain. Sometimes it can be foot pain that can let you down and not actually your ability or fitness as you may not even be out of breath when these foot problems start in your run or jog. So what you need is a good pair of running insoles… but what to buy? There are quite a lot of different insoles for running, sport activities or just every day wear. 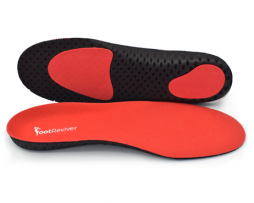 Arch support insoles are the first kind of insoles that I am going to mention in my review. 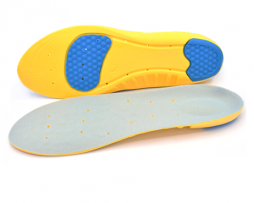 These insoles can be bought either custom made to fit to your precise foot shape and size or you can off-the shelf ones at a much more affordable price in a store or online; Off the shelf insoles aren’t custom made but do just as good job at comfort, support and protection. 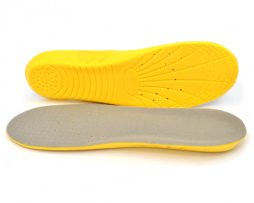 These “arch” support insoles do exactly what their name suggests they help support the arch when you walk or run. Your arch isn’t flat but the insides of many of our shoes are thus this can cause problems like excess tension and pressure on the arch of the foot with can result in inflammation of the plantar fascia leading to plantar fasciitis. 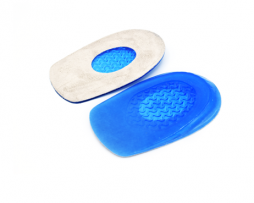 Some experts say that you need custom ones for arch support insoles to really work but this is a myth as non-custom insoles made out of foam will mould to the shape of your foot anyway. 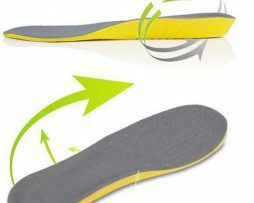 Running and sports insoles often have inbuilt arch supports so if you buy a pair of these then they give your feet the support that they need. Running and sport insoles are often considered to be better than arch support insoles because not only do they offer arch support and do everything arch support insoles have to offer but these kinds of insoles are specially made to deal with the stress and shocks that often occur if you are doing sporting activities including running, jumping, cycling or sport like football, rugby or even hiking. Running and sports insoles are designed for high impact… how? 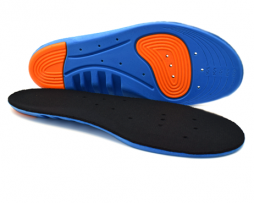 Sports insoles are made from flexible, durable and shock absorbing materials like foam, gel and sometimes rubber. Making them great for sports where constant running and jumping will create great amount of shock which can damage the feet over time but with a pair of running insoles this is no longer a problem. 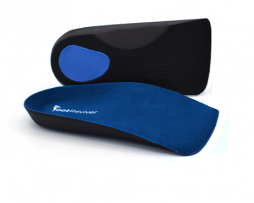 Plantar fasciitis insoles are more for everyday use to help either prevent yourself from getting plantar fasciitis or to ease the symptoms and reduce recovery time of plantar fasciitis. If you are suffering from plantar fasciitis it is best to keep your weight off the afflicted foot to reduce the pressure and help the foot from further damage and help it to recover faster. But wouldn’t that mean you wouldn’t be able to walk or run at all when suffering from plantar fasciitis? Well with a pair of these insoles you can… The plantar fasciitis insoles help to reduce the pressure your body weight has on the plantar fascia with shock absorption and the way the insoles help to position your foot correctly makes these insoles the best choice for wearing them every day to prevent plantar fasciitis or to help you stay active and ease pain and speed up recovery time if you suffer from plantar fasciitis. Gel insoles are lightweight insoles that are easy to slip inside any of your shoes makes it easier on your feet if you are always on them. In today’s modern world people are always rushing about in uncomfortable shoes and just simply put up with it because the shoes are stylish. But don’t make compromises by swapping stylish shoes for unstylish ones simply because the more fashionable ones are uncomfortable… put in a pair of gel insoles… made for modern people who want to be able to wear stylish shoes but don’t want to be uncomfortable in them. 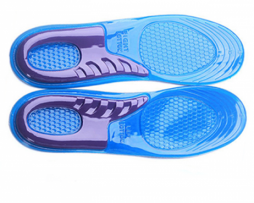 The gel insoles help to support your foot and stop shock and pressure from causing pain on your foot and heel. Wear your stylish shoes all day without discomfort thanks to gel insoles. 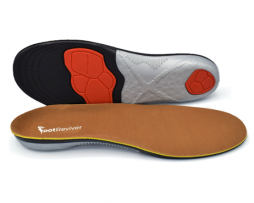 Here at NuovaHealth we have a wide range of different insoles that you can buy that have been specially engineered to help improve how your foot functions to improve your entire anatomy and physiology. 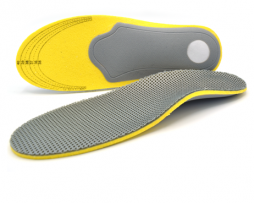 Below you will find a hand picked selection of some of our best insoles.